Missed the news on Bird Box, Tik Tok, and Momo? Here’s your chance to catch up! Think live streaming is the biggest internet threat that our kids are facing? The online chatter late last year was all about the sexually suggestive content that children were privy to on live-streaming apps, as well as the unsavoury requests that they could receive from other users. This year, parents have been given fresh reasons for concern, with news about dangerous online challenges, privacy invasions, and other technology-induced hazards for our digital-age children. “The online space is always changing. Keeping you and your kids safe online involves being aware of emerging and new safety issues, and committing to a bit of research before you panic,” says technology researcher Joanne Orlando. Parents, test yourselves: have you heard about the five developments below? Increasingly, what’s happening in other parts of the world is also of relevance to our children. Do arm yourself with information for your children’s sake, and of course, have frequent conversations with them to find out what they’re doing online, what apps they like, and how they use them. In December last year, streaming service Netflix released a post-apocalyptic thriller, “Bird Box,” which it claimed attracted 80 million household viewers in just four weeks. In the movie, a family has to go on a perilous journey while remaining blindfolded to avoid being killed by a monster. Not every report of a new and potentially deadly online challenge should be taken seriously. 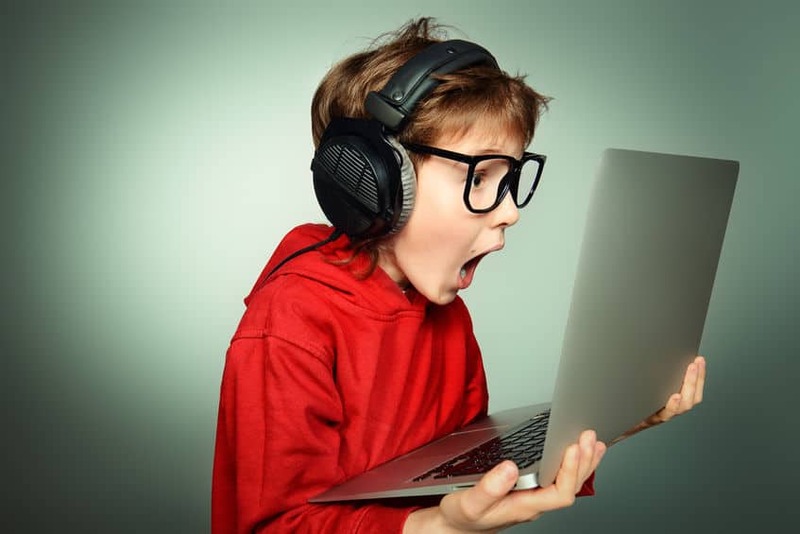 One example of a recent hoax that created a stir among parent communities all over the world was the recent “Momo challenge.” The hoax gained traction through widely shared news reports that were either unverified or outright false, and many parents were mistakenly led to believe that their children could receive anonymous threatening messages from Momo, a grinning figure with dark hair and bulging eyes, via platforms such as WhatsApp and YouTube. The messages were said to either encourage children to harm themselves, or harm others. There were also rumours about Momo “sightings” in children’s content on YouTube — a claim which YouTube has disputed. It’s tempting to dismiss “Momo” as just another urban myth. Unfortunately, urban myths can lead to damaging consequences if enough people begin to take them seriously. In particular, vulnerable children and teenagers can be greatly affected by disturbing images and stories. As parents, we may be sharing news with good intentions, but it is important to be responsible as well. Before you share a piece of news, remember to always check the veracity of your information by using fact-checking resources such as Snopes.com. It’s not just YouTube content that is worrying, but also its users. Wired reported this year that on YouTube, a “network of paedophiles is hiding in plain sight.” How do these paedophiles operate? They search for innocuous videos of children performing activities such as gymnastics, eating ice lollies, or playing in the pool, and leave sexually suggestive comments for the children. According to YouTube, it has been actively disabling comments on “tens of millions of videos that could be subject to predatory behaviour.” However, it said it would be broadening this move over the next few months to suspend comments on videos featuring minors, and that it was in the process of updating its algorithm to better detect predatory comments. Parents, if you are uploading videos of your children playing, or if your children are managing their own YouTube accounts, do talk to them and set some ground rules about communicating with strangers online. You should also monitor all the interactions that take place on their videos, and report any offending users to YouTube. Have you heard of TikTok? If not, you will soon. TikTok is an app that all the early-adopter kids are using — with 500 million global users (July 2018 figures), it’s long surpassed Snapchat (186 million users) as the fun app to be on. Kids and teens love TikTok because it gives them an outlet to express themselves through singing, dancing, comedy, and lip-syncing — and capturing it on video. TikTok also lets users get creative, by dressing up their videos with songs, sound clips, and other cool effects. But it’s not all fun and games on TikTok. Last month, it was reported that TikTok would have to pay a US$5.7 million penalty for illegally collecting the private information of its child users. Since then, more disturbing news about TikTok has emerged — one UK study of 40,000 students (who used TikTok) found that 25 percent of children had connected with a stranger on TikTok, and one in 20 children had been asked by a stranger on TikTok to strip during live streams. Once again, vigilance is crucial. If your children are on apps such as TikTok, walk them through the privacy controls, and find ways to be a part of their online life. For instance, you could watch your children’s videos and give them encouragement as well as constructive feedback to help them reap the benefits of social media, such as creative expression and networking with like-minded children. Better still, download the apps and play with them yourself, so that you can fully understand the rewards and risks that accompany their usage. Preschoolers Can Learn To Think Critically — Find Out How!